Originally, from Washington State, Mark moved to America’s Finest City with his partner, Ben Mendoza in late 2013. Mark’s first San Diego Pride was in 2014 and he began volunteering with Pride in 2015. Mark has volunteered at Pride at Festival Entrance, Entertainment, Exhibitor Relations, Pride 365 and the Parade teams and is humbled and proud to serve as the 2019 Parade Co-manager. Mark enjoys living in San Diego and when not in the Pride office or helping put on the city’s largest civic event he can be found taking advantage of the many benefits of San Diego. He is a 2018 graduated from the Center’s Young Professionals Council (YPC) Academy and remains active in the YPC. Mark enjoys finding new places to eat, celebrating Sunday Funday and enjoying the amazing community of queer folks here in San Diego. 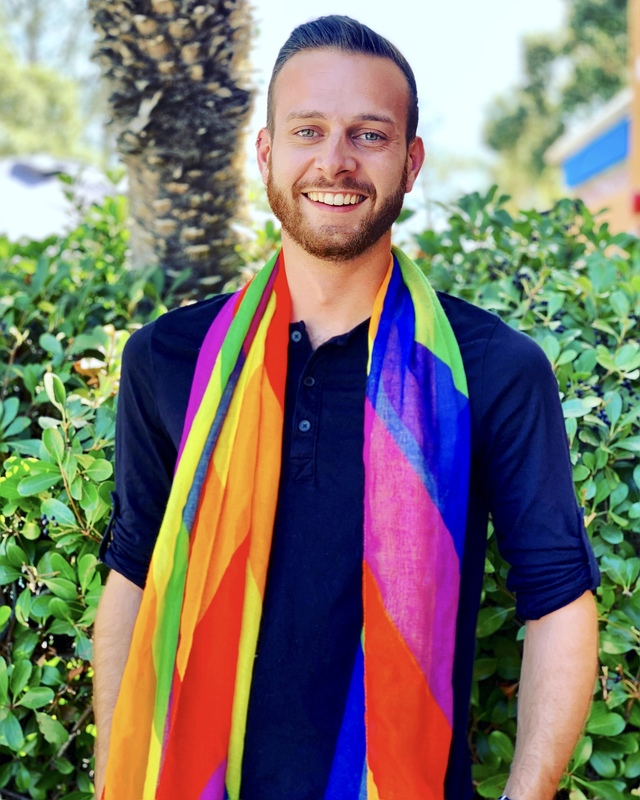 Mark is proud to volunteer for San Diego Pride, an organization he believes, walks the talk of valuing diversity and inclusion and hopes you will join him in volunteering at San Diego Pride.